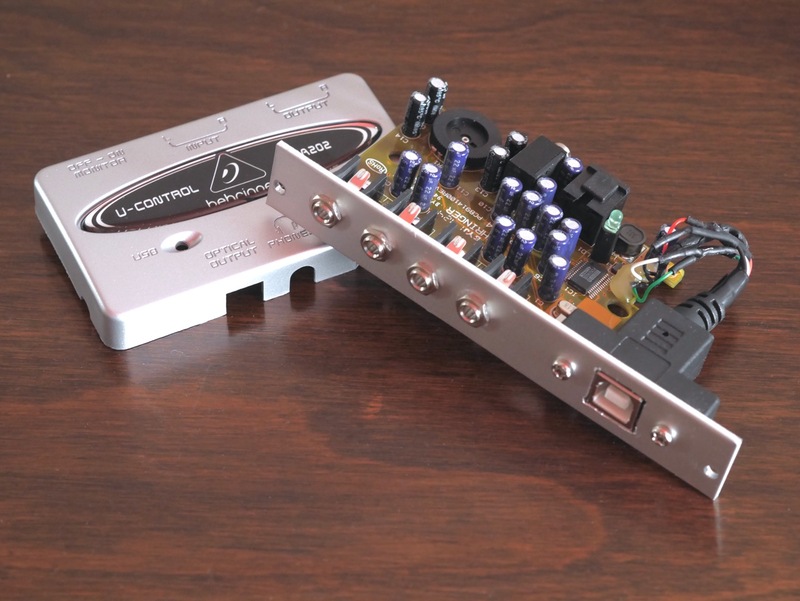 UCA202 USB audio interface mounted in Eurorack format. A Behringer UCA202 can be easily eurorack mounted by replacing the RCA jacks with 3.5 mm jacks. The levels are wrong, but it's inexpensive You will need a UCA202, four right angle 3.5mm jacks, a panel mount usb socket, and a 4hp blank eurorack panel.